Rub the shoulder with oil and season it well with salt and pepper. Preheat your oven to a high heat, 220˚C/Gas 8. Roast the lamb for 20 mins, until golden brown all over. Reduce the heat to 150˚C/Gas 2 and add some liquid to the tray; stock and wine preferably. Cover with foil and cook gently for 4 hours, until tender. Leave to rest for 20 mins before carving. 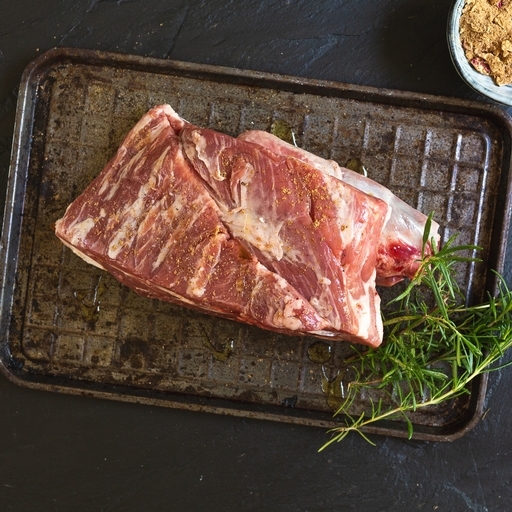 Lamb loves strong flavours, such as rosemary or anchovies, and bold spices (North African in particular). For a good gravy, roast the shoulder on a trivet of onions, carrot, celery and stock. After resting the meat, strain the liquid and skim away the worst of the fat. It can be enlivened with a dash of Worcestershire sauce and red wine vinegar.